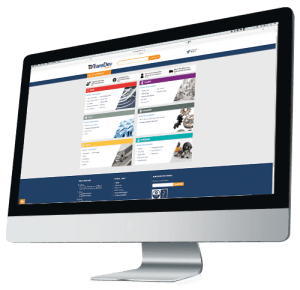 The company is once again demonstrating its market and customer focused expertise, this time with the new CONTI® SYNCHROCHAIN CARBON. The new polyurethane heavy-duty timing belt with a carbon tension member offers no fewer than four advantages over other timing belts. Light, but durable polyurethane for teeth and backing, high-tensile and, at the same time, longitudinally stable carbon for the tension member, plus a specially coated, wear-resistant fabric: the intelligent design with a combination of especially high-quality materials is a defining feature of the CONTI® SYNCHROCHAIN CARBON. It is thus clean, smooth and particularly reliable power transmission both at high torques and also with high dynamic loads. 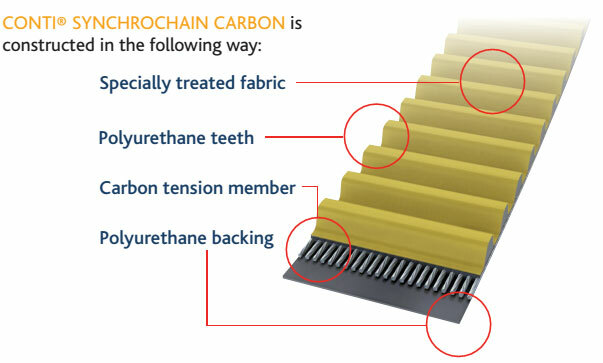 The CONTI® SYNCHROCHAIN CARBON is extremely wear- and abrasion-resistant and maintenance-free. Service life is increased by up to 100% compared with heavy-duty timing belts using aramid cord. The great stiffness of the cord, i.e. initial tension losses cut almost to zero over the lifetime of the belt. This represents a further enhancement in drive efficiency. The stretch of the high-tensile carbon tension member which is 50% lower compared with aramid. 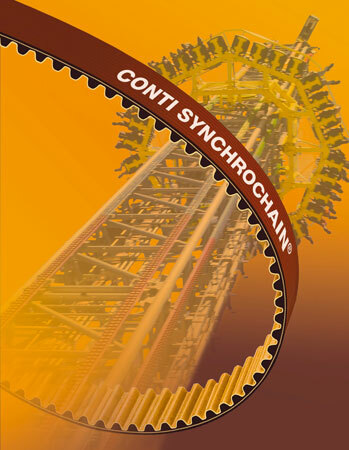 The CONTI SYNCHROCHAIN® CARBON is therefore suitable for maximum torques and offers longitudinally stable operation over its entire lifetime.